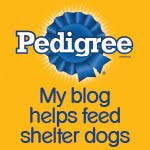 Taking our cue from the good folks at BlogPaws who sponsor this hop, today's theme is multiple pet households...and we qualify! Do you see how my pesky little sister never leaves my side...The only time I get a break from her is when I'm outdoors! 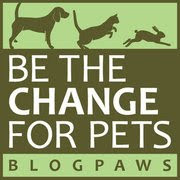 Hey, while you're here, sign up for the Blogpaws Wordless Wednesday Hop-new friends guaranteed! I don't know...you two look pretty comfy together! You two live like royalties! Too cute! You too are looking pretty happy together in that second photo!